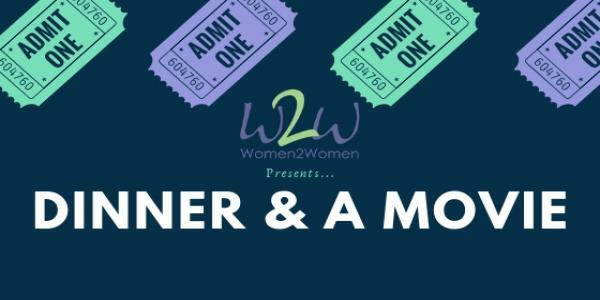 Women2Women presents … “Dinner and a Movie”! Invite your friends, moms, daughters, sisters, aunts, and your neighbors and enjoy a home cooked meal from our very own Harvest Ministries, have fun with games and prizes, and then settle in with some sweet treats for a movie. Doors will open at 5:30 pm; dinner served at 6:00 pm. Cost: $20/person; tickets ONLY AVAILABLE ONLINE. Registration deadline is Friday, March 8, 2019. If you’d like to reserve a table, you must purchase ALL 8 TICKETS in a SINGLE TRANSACTION, no exceptions. NOTE: Please submit first and last names of every person at the reserved table to: mstrutt@faccalgary.com. For questions about food allergies/intolerances, please contact Arlene Bergen (Director of Women’s Ministries).